We create quality from the inside out. Our ceramic and porcelain products are superior because of the raw materials manufactured into each and every tile. To denote this internal quality and to identify our superior tile, we have created marks of distinction for all American Florim products. Ceramic Tile, Porcelain Tile, Marble, Granite, Natural Stone and More! Ceramic tile has been around and used for centuries, and today new designs and application possibilties are just about endless. It's multitude of styles, shapes, patterns, colors, and finishes makes ceramic and porcelain tile easy to design into different sized spaces and in a diverse range of home styles. Although quietly beautiful, ceramic tiles are deceptively tough. 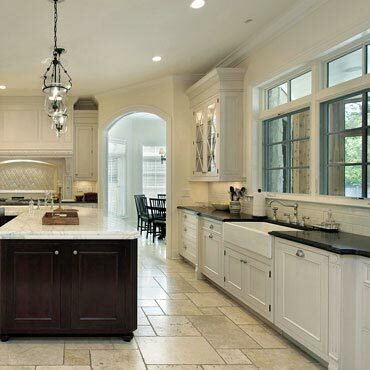 Ceramic tile is extremely scratch resistant, stain resistant, water resistant and temperature tolerant. And ceramic tile is made using natural materials making it a safe natural choice. Ceramic and porcelain tile is a beautiful, practical, durable and versatile choice for flooring, walls, and counter top surfaces.